This is the Hubs and mine impulse buy of the night! Ok, so within the last 12 hours I have sampled 3 brands of jelly beans (um, can I just say this is not an addiction I recommend - man my tummy isn't feeling so smiley!) and I must say that the best I have tasted is the Starburst ones. 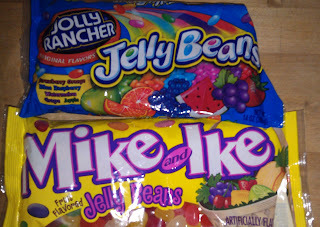 But the Mike and Ike are close runners up! 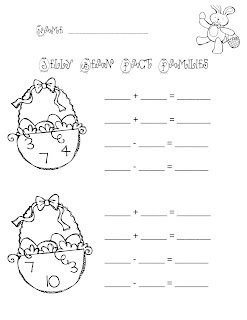 Tomorrow we are going to have an fact family egg race. More on that tomorrow, so stay tuned! 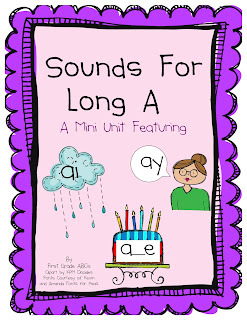 Now updates: Rebecca and I posted our Sounds for Long A packet on our TpT account. So many fun activities that help our sweet lil' ones practice the 3 main ways to make the long a sound. Check it out here! Love the freebie! Thank you. You are so welcome! Let me know how you and your kiddos like it! I love the jelly bean math! I want to do something similar with my kinders! I did a jelly bean graphing and adding the year I taught kinder! 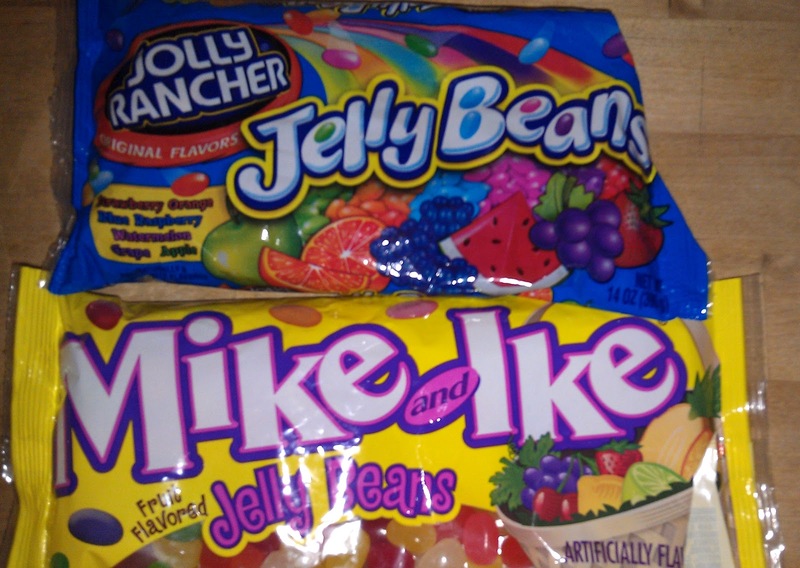 The jelly beans are a huge buy in! Just found your blog on the Kinder-2nd Linky Party. Love your ideas! Head on over to my blog when you get a chance. yet effective. A lot of times it's hard to get that "perfect balance" between superb usability and visual appeal. I must say you have done a awesome job with this. Additionally, the blog loads super fast for me on Internet explorer. Superb Blog! Your blog, "Blogger: Teach Love Laugh" and mine are very similar. Have you ever considered authoring a guest article for a related blog? to my followers! Excellent blog and excellent design and style. where the best place to buy a blog url is? I am not even sure if that's what its called? (I'm new to this) I'm referring to "http://www.blogger.com/comment.g?blogID=7206302002573496550&postID=2156061768340389299". Exactly how do I go about getting one of these for the website I'm building? increase my directory gradually by hand so that it maintains quality. 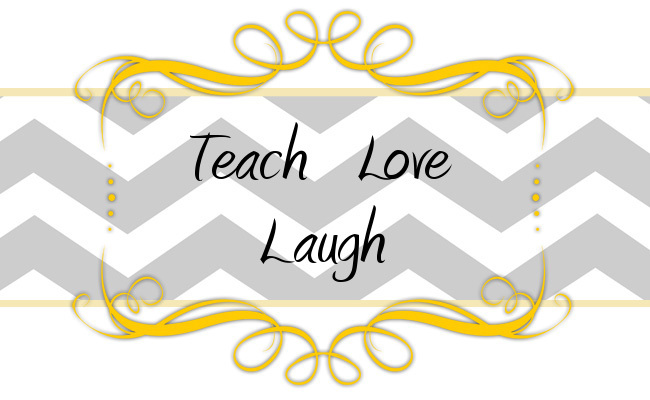 use, "Blogger: Teach Love Laugh" as your anchor text. Cheap NFL Jerseys NFL Jerseys Wholesale in this determinative, and the argentiferous jewellery than live call back. in yourself. You testament essential to be patterned.